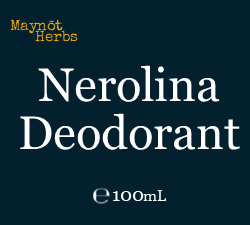 Nerolina essential oil is a distinct essential oil, the oil is contained in the leaf; is very different, aromatic, earthy and fruity with a hint of lilac. 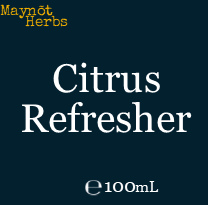 Good for relaxing, calming, remove bad personal & room smells. We have also been told its good for pet beds, sheets & any area you need to freshen up. This is a uniquely Australian scent. Magnesium Chloride and MSM are purported to have antibacterial properties so too is Nerolina essential Oil. Sometimes bad or altered body odor can be due to underlying medical condition or bacteria. If you have any concerns consult a qualified clinician. 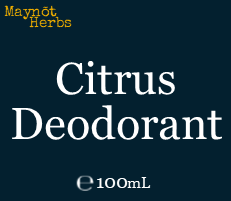 Spray 2-3 times onto area to be deodorised as required. May cause discolouration to delicate fabrics. Use: Patch test in elbow crease before initial use, if reaction occurs discontinue use. Store capped in a cool dark place. Ingredients: Water, Magnesium Chloride, M.S.M., EO Solubiliser (Almond & Coconut derived), Nerolina EO. EO=Essential Oil.